Aerospace Lighting Institute attracts a variety of professionals from the government, commercial airlines, US military, lighting experts, and industry innovators. We recruit experts qualified to brief on cutting-edge technologies and next-generation programs. As a result, these speakers help us to attract diverse, experienced audiences who benefit from the educational environment and business networking opportunities at ALI events. 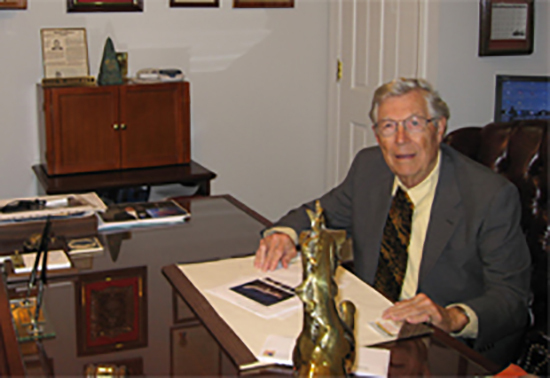 Mr. George Godfrey founded ALI in 1971 to promote and educate the aerospace lighting industry. After nearly four decades of dedication and commitment, Mr. Godfrey retired and in 2009 ALI was acquired by WAMCO with the intent to continue developing and fostering the growth of ALI into a stronger network of educational seminars and networking opportunities. In 2017 Wamco Inc and Avionics Technologies Inc have agreed to continue the development and growth of Aerospace Lighting INC. Many of you in the industry have supported this organization since the beginning. Wamco and ATI feel the need to continue the charter of ALI. ALI has two main charters; education and advanced seminars both accomplished from industry experts providing key expertise and networking opportunities. ALI will be combining both the beginning school and the advanced seminar in one event planned for the week of September 15, 2019 in Arlington, TX. We all in industry want to thank Wamco, especially Greg and Chris Matthews for their leadership and dedication to ALI over the last eight years. We look forward to continued support from industry to grow ALI and provide education and advanced technologies for next generation aerospace programs and challenges.